A Marion felon with numerous breaking and entering and larceny charges – including those still pending – was sentenced to at least eight years in prison in McDowell County Superior Court. Michael David Brown, 50, of Calhoun Drive, Marion, was found guilty of two counts each of felony breaking and entering and larceny after breaking and entering and one count of habitual felon. He was sentenced 96 to 128 months in prison and received pretrial credit for 51 days time served. On Feb. 2, 2018, it was reported that someone had broken into a tool shed and storage building at 59 May Apple Lane, owned by Sean Helmig of Marion, and had stolen tools and a $450 pressure washer from the property. Brown, the suspect, was subsequently charged in May that year and later indicted in August. Prior to his conviction, Brown accumulated at least 13 outstanding charges by Feb. 2019, including breaking and entering, larceny, driving while impaired and traffic violations, as well as multiple probation violations. Brown was later served with these warrants following a high-speed pursuit early that month. At 12:32 a.m. on Wednesday, Feb. 6, McDowell County Sheriff’s Deputy S.V. McPeters was on Burma Road East and saw a vehicle with a fictitious plate. When the deputy attempted to stop the Nissan Sentra, the driver, identified as Brown, sped up and led McPeters on a pursuit to Deacon Drive, Fairview Road, N.C. 226 and the bypass, with speeds estimated up to 90 mph in a 55 mph zone, according to court documents. Brown pulled over at the Tate Street exit and was taken into custody, where he was charged with fleeing to elude arrest, speeding and driving while license revoked. These and other mentioned charges are still pending. A convicted felon, Brown’s criminal record is dated as early as 1984 with continual offenses throughout McDowell, Buncombe, Alamance, Alexander, Henderson and Yancey counties, including a conviction in 2002 for 17 counts of forgery, four counts of cheating property services and one count of larceny of a motor vehicle. In 2015, Brown was released from prison after having spent 11 years for consecutive convictions in Yancey County for common law robbery, possession of a firearm by a felon and assault with a deadly weapon inflicting serious injury, according to NC Department of Public Safety records. • Jacob Michael Baker, 30, of Gable Drive, Marion, was found guilty of possession with intent to manufacture, sell or distribute methamphetamine, possession of a firearm by a felon and habitual felon. He was sentenced 67 to 93 months in prison. He was given credit for 167 days time served. He must pay a court-appointed attorney $232.50. He must pay court costs. • Joshua Charles Barrier, 37, of Green Lee Road, Old Fort, was found guilty of breaking and entering. He was sentenced eight to 19 months in prison. He was given credit for 67 days time served. He must pay a court-appointed attorney $540. • Timothy Carl Bartlett, 35, of Linear Lane, Marion, was found guilty of probation violation. His probation was revoked. He was sentenced 24 to 41 months in prison. He was given credit for 121 days time served. • Amber Nicole Black, 27, of Muddy Creek Road, Nebo, was found guilty of identity theft. She was given credit for 85 days time served. She was given a nine to 32 month suspended sentenced consecutive to previous judgment. She must serve 36 months of supervised probation. She must pay a court-appointed attorney $270. She must pay court costs. • Caleb Brinyark, 29, of Yancey Street, Marion, was found guilty of probation violation. His probation was revoked. He was sentenced six to 17 months in prison. He was given credit for 169 days time served. • Jose Jovanny Camarena, 23, of Gaddy Road South, Nebo, was found guilty of two counts of probation violation. His probation was revoked. For each count, he received a back-to-back sentence of six to 17 months in prison. He was given credit for 35 days time served. • Christopher Lee Cannon, 41, of Sugar Hill Road, Marion, was found guilty of two counts of felony probation violation out of county. On the first count, he was sentenced 11 to 23 months in prison and given credit for 112 days time served. On the second count, he was sentenced to 120 days in jail consecutive to previous judgment. 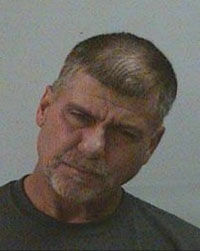 Cannon was also found guilty of felonious restraint and assault inflicting serious injury. On the first offense, he was sentenced 28 to 46 months in prison and must pay $2,454 restitution to the victim. On the second offense, he was sentenced to 150 days in jail consecutive to previous judgment. • David Allen Whittington, 19, of East Court Street, Marion, was found guilty of probation violation. His probation was revoked. He was sentenced 29 to 47 months in prison. He was given credit for 177 days time served. He must pay a court-appointed attorney $180. • Cory Tyler Woodard, 22, of Cool Springs Lane, Marion, was found guilty of probation violation. He was sentenced to 12 days in jail.